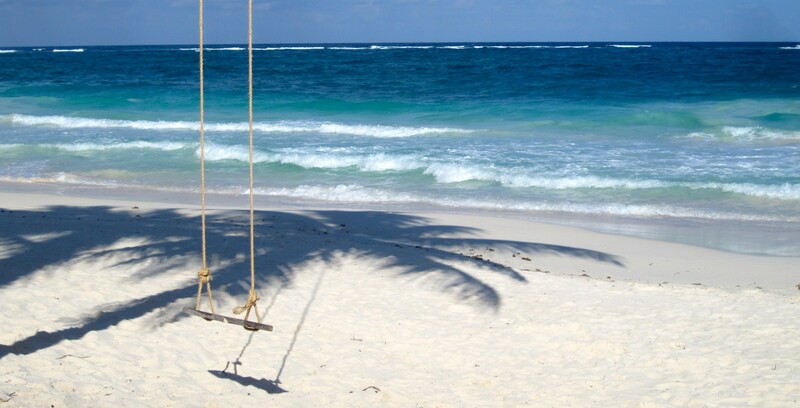 It’s easy to get into a writing slump, especially when the weather’s hot and sticky or when you’re not traveling, so I was quite happy to come across this post from Nature Traveler. Not only did the article give me some good ideas for seeing things in my own backyard but jogged my memory about other places in my own state. What’s happening in your backyard? “In every walk with nature one receives far more than he seeks,” said naturalist John Muir. There is no better time than Summer to savor the great outdoors. Beautiful island beaches, river kayaking, gentle hiking, and friendly farm animals are a short Zipcar or train ride away. Central Park has its perks, but New York State offers much more nature than Manhattan. Take the day off and venture out with your family and friends to these awe-inspiring and eco-friendly places to come back relaxed and recharged. 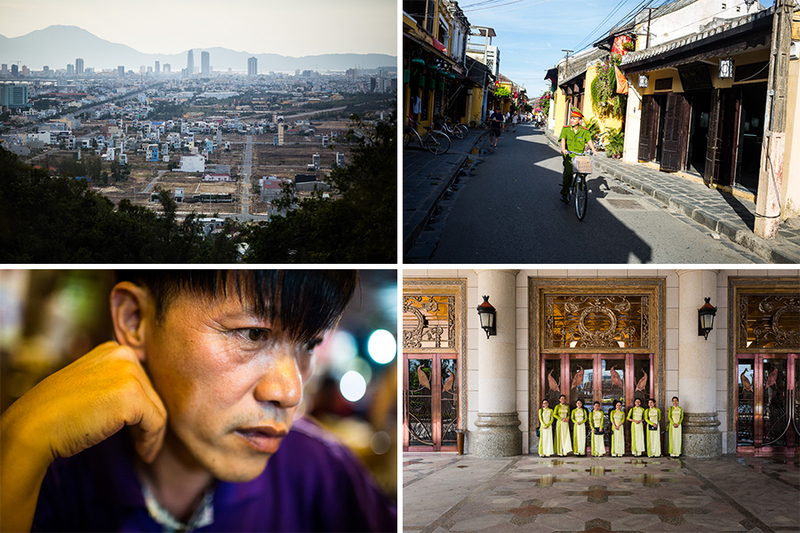 This entry was posted in Uncategorized on July 24, 2014 by portsarecalling. 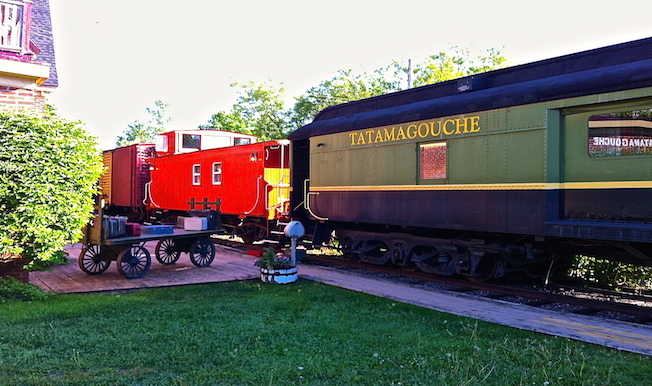 A childhood spent playing in this Tatamagouche railroad station, one of the oldest in Canada, LeFresne turned his passion for trains into a hospitality reality. Back then the trains moved goods and services across the country; its stockyard was filled with pigs and cows. Times changed and it fell to ruin. To prevent its demolition, in 1974 LeFresne had the foresight, at 18, to purchase the station. In 1989 he opened the Train Station Inn, creating a love letter to a bygone era. Uniquely appointed railway cars serve as accommodations: 2 boxcars, the rest 6 cabooses. The stationmaster’s house operates as a separate suite. It’s not every night you get to sleep in a caboose; mine was bright orange with a small wooden patio added to one end. Investigating the authenticity of the existing apparatus within the car had me feeling like a kid. Whet your whistle at the town’s newly opened brewery. All aboard the Chip Ship for some good eats! 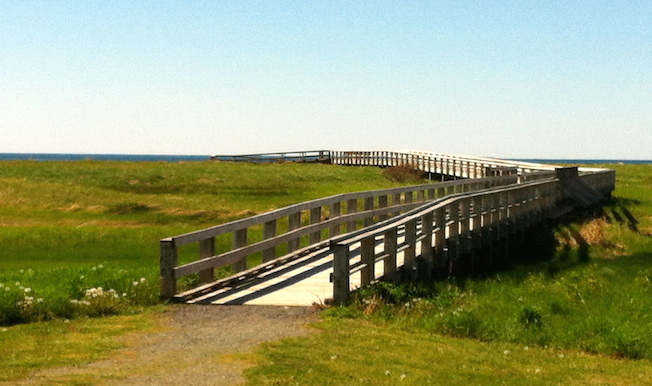 For more information on planning your own Nova Scotia road trip to one of the province’s many shorelines, click here. This six-part Nova Scotia road trip series was originally featured in Mrs Robinson. This entry was posted in Claudia's Trips and tagged Canada, destination wedding, disc golf, food, food travel, honeymoon, hotels, inns, James LeFresne, Jimmie LeFresne, Jost Vineyards, multi-generational travel, Northumberland Shore, Nova Scotia, Nova Scotia road trip, railroad, road trip, Tatamagouche, Tatamagouche Brewing Company, Train Station Inn, Trains, women 40+ travel, women 50+ travel on July 18, 2014 by portsarecalling. Things that may you go, pull over! One of the many activities offered at Pictou Lodge Beach Resort. The only blueberry in my future is off the shrub. One of the highlights of any road trip is pulling over whenever the fancy strikes. You cultivate a discerning eye and a sixth sense for what looks right. It was a pleasure to witness small-town life with mom and pop run operations, dollar stores, bars and restaurants. That is one of Nova Scotia’s draws. There are also lots of laid back cafes and a cozy one is Mrs. MacGregor’s Team Room. Known for her melt-in-your-mouth shortbread (which also make great gifts), she serves up her own recipe of fresh seafood chowder. 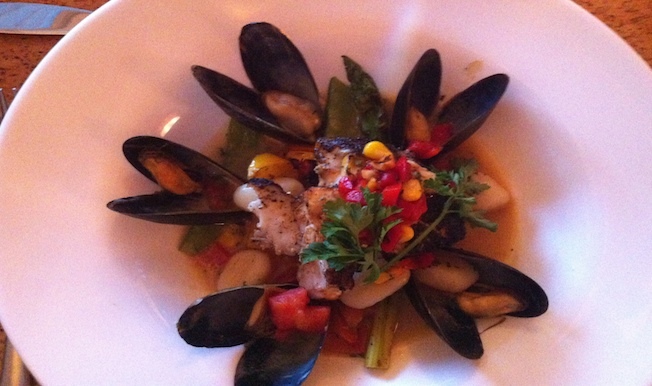 In fact, the only thing that seemed to rival a fish and chip trail was the possibility of charting a chowder trail. Good reasons to return. 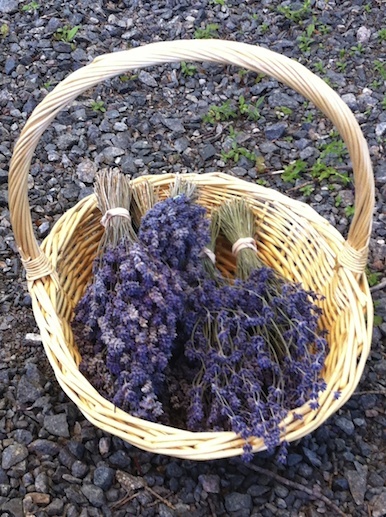 Next Stop: Who needs France when you’ve got lavender growing in your own backyard! This entry was posted in Claudia's Trips, Uncategorized and tagged Canada, EatLikeALocal, fish & chips, fish and chips, food travel, lobster, Monica MacNeil, Mrs. MacGregor's Tea Room, multi-generational travel, Northumberland Fisheries Museum Lobster Hatchery, Northumberland Shore, Nova Scotia, Nova Scotia road trip, Pictou, Pictou Lodge Beach Resort, road trip, seafood chowder, shortbread, Travel, travel agent, Waterfront Fries, women 40+ travel, women 50+travel on July 16, 2014 by portsarecalling. 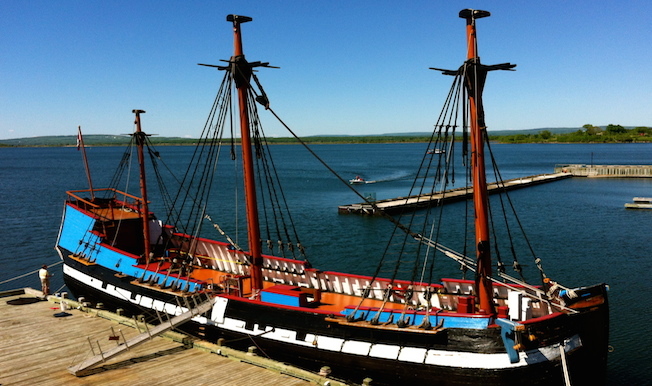 The charming town of Antigonish is a great base for day tripping to points of interests along the Northumberland Shoreline and some of Nova Scotia’s other shore areas. 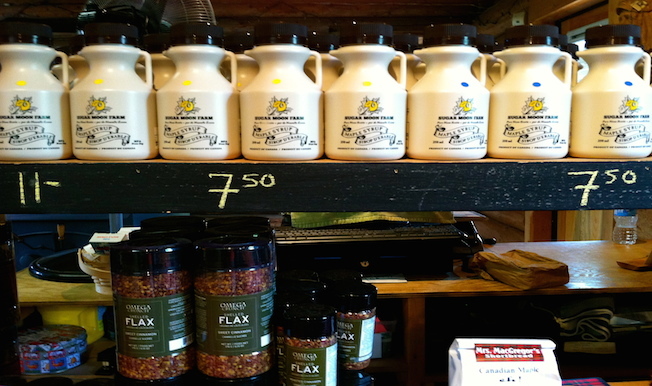 The co-op movement began in Antigonish in 1861 and Chef Mark Gabrieau is proud to be part of its enduring legacy. He tills his own parcel of land on a co-op acreage where he grows seasonal fruits and vegetables that make their way onto his menu. A proud ambassador for Nova Scotia’s food movement, he’s won numerous awards, including the 2013 Taste of Nova Scotia Prestige Award for Restaurant of the Year. Next Stop: Finding my way around a lobster. This entry was posted in Claudia's Trips, Uncategorized and tagged Antigonish, Antigonish Victorian Inn, Canada, food travel, Gabrieau's Bistro, group travel, L'Acadie, multi-generational travel, Nova Scotia, Nova Scotia road trip, road trip, Tiday Bay Wine, Travel, Travel Agents, women 40+ travel, women 50+travel on July 15, 2014 by portsarecalling.